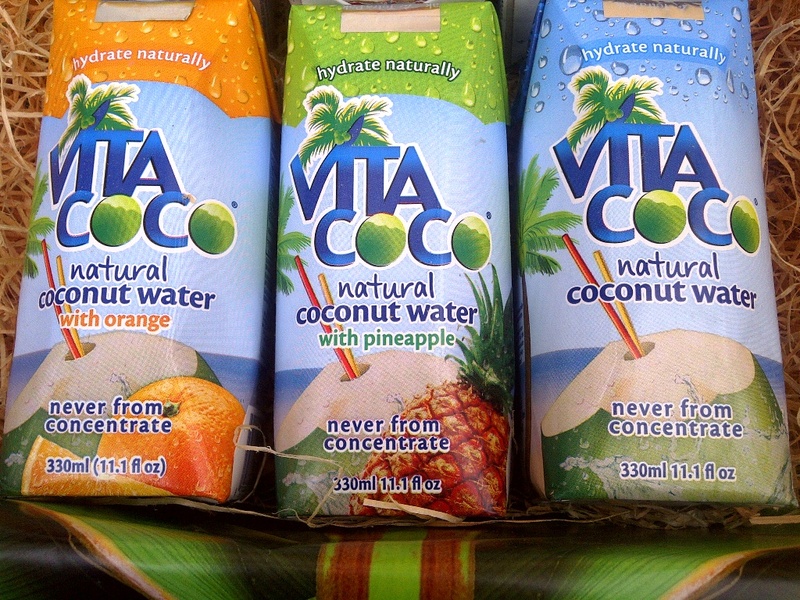 The lovely people at Vita Coco recently sent me these 6 flavours of Vita Coco packaged in a way that made it look like they were sent from overseas in a crate :-) For the past week I have been drinking one a day. 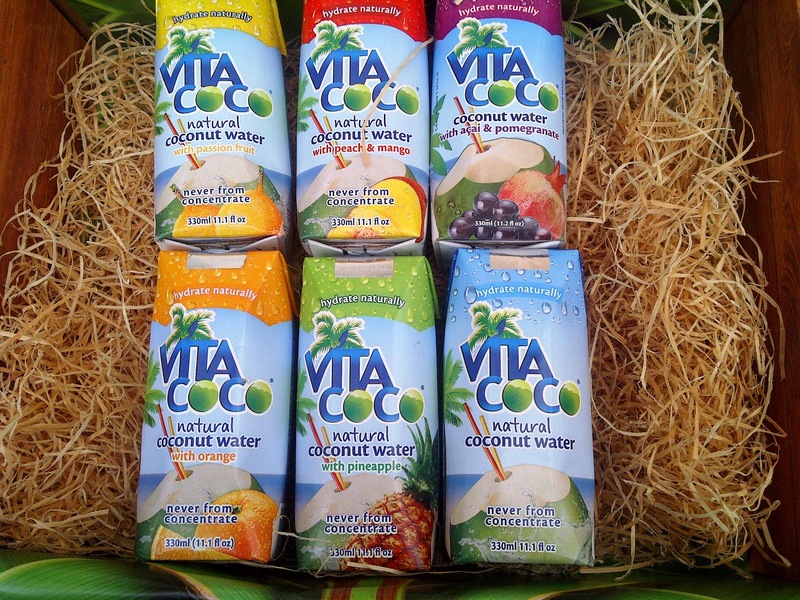 Now I am already a huge fan of the original Vita Coco coconut water, I am convinced that I feel so much more energised and have a sense of well being that I just don't have when I don't include it as part of my diet. 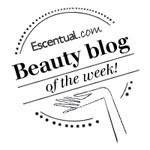 As much as I love skincare and makeup products I am a strong believer that good skin (to an extent) and overall well being come from a good diet and exercise. 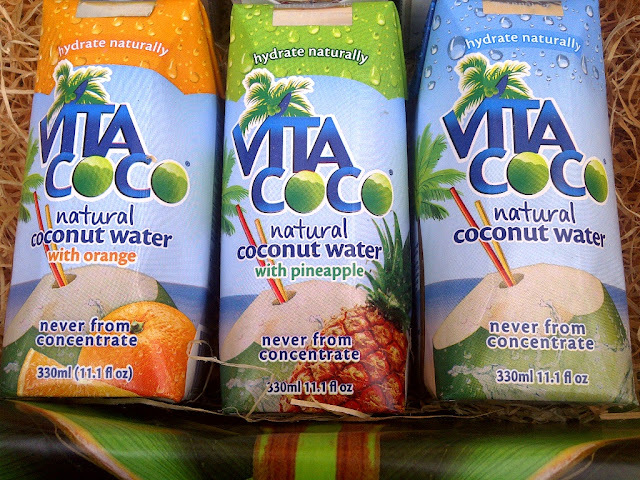 I do my best to follow these principles, so when I read about the benefits of coconut water I went straight out and bought a carton of Vita Coco. Vita Coco's all-natural, super-hydrating, fat-free, cholesterol-free, nutrient-packed, potassium-stacked, mega-electrolyte coconut water. Out of the 6 this was probably my least favourite - I found it a bit bitter but as I have never eaten a passion fruit I am not sure what I was expecting, probably quite a sweet drink. I liked this flavour, the mix of peach and mango was pleasant, subtle and refreshing. This flavour was the only one that had a colour, a murky purple shade. The combo of acai and pomegranate makes this feel like you are drinking a real superfood drink! Certainly an interesting taste but I found it strangely appealing, I was expecting a slightly tart taste but this didn't have it. Out of all the blends I felt that this worked the best, it was lovely. A nice hint of orange. If you are expecting a real coconut flavour you will probably be disappointed as this is not what you get with coconut water. Some may say it is an acquired taste but I was hooked from my first chilled sip. Refreshing to the extreme. So there you have it, 6 flavours of Vita Coco drunk and reviewed. All are made with natural ingredients, with the blends these are made with puree of the fruits. I would say that the flavours are like a 'hint of'. I love the brightly designed packaging as they make the product very enticing. My only criticism would be that in the ingredients information I would have liked to see the percentages of the fruit against the coconut water. 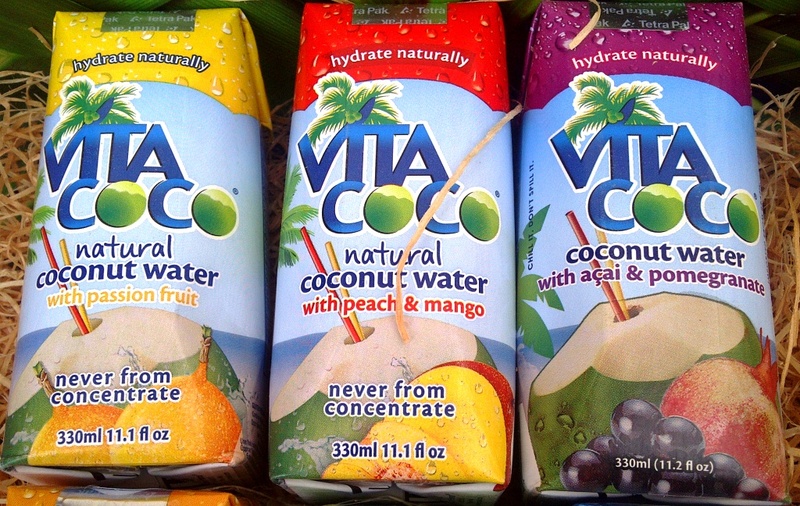 Have you tried Vita Coco?